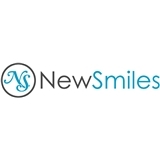 New Smiles Dental Excellence (Frisco) - Book Appointment Online! At New Smiles, we proudly provide quality dental care. We understand your busy schedules, therefore, we have convenient appointment times and provide mid-day specials.Our featured services are General Dentistry, Cosmetic Dentistry, Dental Implants, Nitrous Oxide, Digital X-Rays, Oral Cancer Diagnosis, and much more. We'll be glad to hear from you if you have any questions. Visit NewSmilesSA.com for San Antonio,TX NewSmilesFrisco.com for Frisco,TX Thank you and see you soon! I always enjoy coming in. She is very kind, friendly and patient and explains all the procedure very nicely. My whole family enjoys coming here.